Brielle Smith of Oakcrest unloaded one of the best throws in state history in the javelin at Saturday's Woodbury Relays. Smith, the Group 3 state champion and runner-up in the javelin at the Meet of Champions last year, unloaded a State Junior Class record of 150-7, No. 7 in state history with the current javelin that's been used since 2002. That's the best throw in the Garden State in six years and more than five feet better than Smith's previous best of 145-0. The 150-7 by Smith broke the State Junior Class record of 146-5 set in 2003 by Amanda Harmata of Raritan. The state record in the javelin of 160-8 was set in 2012 by Maria Jimenez of Vineland. 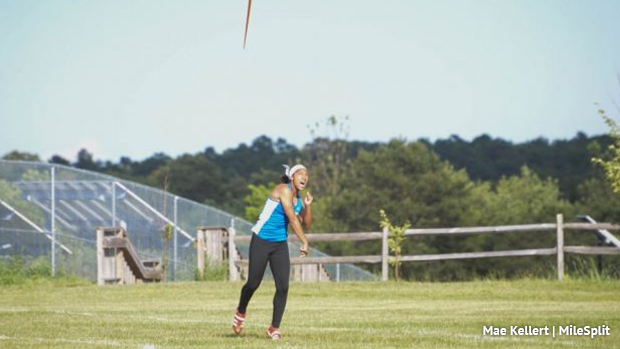 The five other throwers ahead of Smith on the state's all-time list are Jamie Klein of Paramus Catholic (155-0 in 2011), Nia Barnes of West Orange (154-11 in 2011), Katherine Johnston of Haddonfield (152-9 in 2012), Jill Shaner of Egg Harbor (152-4 in 2009), and Shauntierah Douglas (Garfield) (152-3 in 2012).